It might seem like there are more gig workers out there. But the figure is about 20,000, Manpower Minister Lim Swee Say said in his Committee of Supply speech in Parliament yesterday. 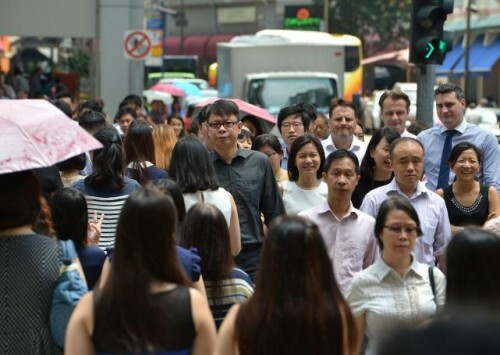 The Ministry of Manpower's detailed survey on freelancing last year showed that workers who use Internet platforms to find work are a minority. Private-hire car drivers from third-party car hailing applications such as Uber and Grab formed the largest group of gig workers - about 10,500. The survey showed the total number of primary freelancers - those who freelanced as their main job - remained flat at about 167,000 last year. Other gig workers include those who provide professional services such as consultants, accountants, bookkeepers and people in the creative services - like designers and media and communications professionals such as producers and editors. It also includes workers who provide delivery services, like Foodpanda and Honestbee, added Mr Lim. Though there is no official definition of gig workers, the Organisation for Economic Cooperation and Development and other international sources commonly refer to them as workers who use online platforms that match or connect services buyers with workers who take up short-term jobs. Mr Lim said gig workers can be either gig employees or gig freelancers, depending on work arrangements. He explained: "If a private car driver joins a transport company with an employment contract and takes on jobs offered via app, he is still an employee protected by labour laws, even if he is on short-term employment contract. "But if he provides a service in return for a fee without entering into any employer-employee relationship with any party, and if he is not overly constrained by conditions imposed by the 'platform' owner or service buyer, then this is no different from any freelancer." Several MPs, including Marsiling-Yew Tee GRC's Alex Yam, West Coast GRC's Foo Mee Har and Aljunied GRC' Chen Show Mao, asked about the housing, medical and retirement adequacy of gig workers, who might not have CPF. In response, Mr Lim said a tripartite workgroup would be formed to study these issues and address the concerns of freelancers.